DUBC achieved a fantastic result at the Dublin Sculling ladder on Saturday 9th by winning the club competition with 5 scullers in the top ten. Results are available on iaru.ie. Club members have attended two agms in the last few days. Firstly, the DUCAC agm, where Luke Acheson succesfully ran for the position of Secretary, and Mark Harris was elected as a club representative. Well done to them. The club’s own agm was also held last week. John Mohan officially took on the role of Chairman of the Longterm Committee, and Charlie Landale took his place as Captain. The new committee in full will be displayed on the relevant page of this website as soon as I get around to putting it there. The new colours were announced after a fashion, although the list was not immediately available. It can be viewed in rooms. The summer is well and truly over, and DUBC are back in action. On Sunday 26th September Lorcain Cameron came a respectable 3rd in the Men’s Novice 1x at the Irish Rowing Championships in Cork, and training began in earnest for the squad the following week. The immediate goal is for everyone to race at this weekend’s sculling ladder in Islandbridge, but our sights are set on some big achievements as the season progresses. Meanwhile our new development coach, Neal Byrne, has set about the task of training up this year’s novice group with aplomb. They have been introduced to the tank, the ergo and the eight and will certainly come on in leaps and bounds over the next few weeks and months. Welcome back to a new year of rowing! Both DUBC’s Novice and Intermediate eights finished third in their respective Championship races this weekend. Two Inter fours raced, one going out in the first round, the other coming in 6th in the final. Two Novice fours also raced. The A crew did exceptionally well, but were unfortunately unable to maintain their challenge for 1st place in the final against a strong crew from Shannon RC. Disappointing results on paper, but ones the athletes are hoping to learn from. Behind the scenes a lot is going on at DUBC, and looking to the future, better results on the water will certainly be achieved with the improved administrative and coaching structures that are being put in place. Thanks to all those who have supported and helped out this year, and we look forward to seeing you on the bank after the summer break. DUBC will compete on Friday and Saturday at the Irish National Rowing Championships in Co. Cork. The club is sending a Novice and an Intermediate eight, and a number of fours, who will all be hoping to finish off the season in style. See iaru.ie for the draw and other information on the regatta. For information on our new Rowing Academy, see the Prospective Rowers page. 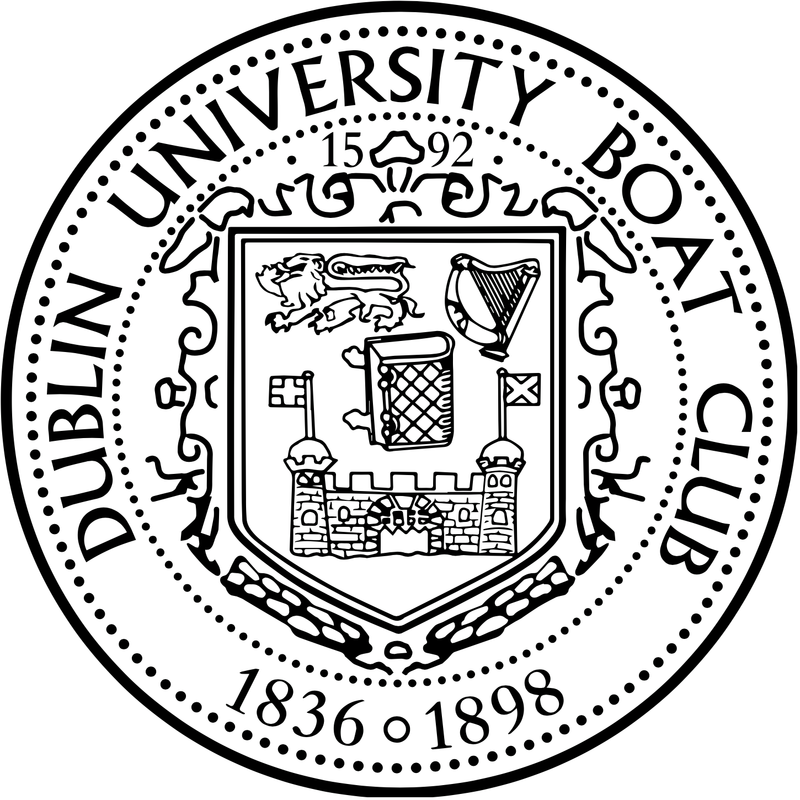 DUCAC, in conjunction with Dublin University Boat Club (the Men’s Rowing Club of Trinity College Dublin), is looking to recruit a Development Coach for the season beginning September 2010. Closing date for applications is 15th July 2010. DUBC had a number of entries at Metro this weekend. The intermediate A four took home gold, while the intermediate eight lost out to Neptune and University of Limerick, and lightweight scullers P. Dunphy and P. Jacques both performed well. Unfortunately the novice eight was prevented from racing by a rogue pair which damaged a rigger, but two novice fours represented the squad that S. Tunney and M. Ryder have been building. The intermediate squad is now preparing for Marlow regatta, which is held this Saturday and Sunday on Dorney Lake. A coxless four is expected to compete, as well as the eight in its last race before Henley. There will be a tent for supporters and competitors of DUBC, where light refreshments will be provided. All friends of the club are welcome to come and enjoy the racing! This is a link to the college Communications site, where you can read an article about this year’s Trinity Regatta successes. The club held an EGM on Friday to elect the Captain for 2010/11. Lorcain Cameron and Charles Landale each made his case for election in the crowded sitting room in House 16. Charlie emerged victorious after a ballot, and congratulations to him; may he have an excellent year. The annual Trinity Regatta will take place on Saturday 29th May at Islandbridge. DUBC would like to extend an invitation to all sports fans and friends of the club to attend for a day of high quality racing and picnics in the sun. The bar will be open during the day, lunch will be available, and we are hosting a night out afterwards. Directions to the boathouse can be found here, and for more information see the calendar. Regatta season has finally begun, with a weekend of blazing sun and fine racing at the National Rowing Centre in Co. Cork. On Saturday Trinity’s two boat clubs made their bid for the title of University Champions. DUBC’s top eight only managed third, but stern four proved formidable in the Intermediate coxed fours event, and earned a comfortable win. The novice squad also did well, with the A eight losing out to a more experienced crew from UCD. Padraic Ryan and Adam O’Brien, two of last year’s novice squad, won the novice double, while Lorcain Cameron won the Novice Single Scull event, to keep it at Trinity for the second year running. The next day, heavy fog delayed the start of Skibereen regatta, the winds of Saturday having abated. The sun was soon spliiting the stones again however, and the first of the new series of ‘Grand League’ regattas got underway. The Inter eight was frustrated by Neptune, and the Novice eight again by UCD, but a win for Rob Mawn in the novice scull and good performances by the whole squad in singles meant the day could only be considered a success. The club’s senior eight spent the last weekend in March in London, where we competed at the annual Head of the River. An injury to the Captain meant we had to call in a substitute at the last minute, and our result – 136th, having started 83th – was disappointing, but it’s always easy to go looking for excuses. Much harder is the task of moving on and continuing to develop the squad, and learning from the experience. Many thanks to Chris Guest for subbing in and pulling hard, and to Chris George for all his help and a massive spaghetti dinner. While one eight was in London, the second eight headed to Galway for the national eights head of the river. Their goal was the intermediate pennant, which they were beaten to by an experienced Neptune crew, but they rowed a good race and improved on their performance at Dublin Head the week before. The Novice Squad also raced in Dublin, entering two eights and proving the strength of their squad in their first race since colours. On Saturday the club sent two eights to compete at Erne Head of the River in Eniskillen. A last minute crew shake-up meant the senior eight didn’t perform to their ability on the day, but the Intermediate eight put in a decent performance over the six kilometre course, beating Neptune’s crew to win the pennant. The squad continues to train hard with the short-term goals of Dublin, Galway and London Heads in mind. First of all, it’s been a long time since this website was updated, apologies. A lot has happened to DUBC since May last year, and here I will attempt to summarise it all, as well as giving some idea of the state the club is in and what we’re looking forward to in the future. The Senior squad came home from Ghent in early May having earned a good win over Oxford Brookes in the under 23s event on Sunday, and some valuable racing experience along with it. The annual University Boat Race against Queen’s was disappointing for both Novice and Senior crews. The seniors knew from the outset they were underdogs racing a more experienced outfit; the novices on the other hand were competing against their main rivals for silverware at National Championships, and defeat was a reminder that there was no room for complacency in the coming weeks. 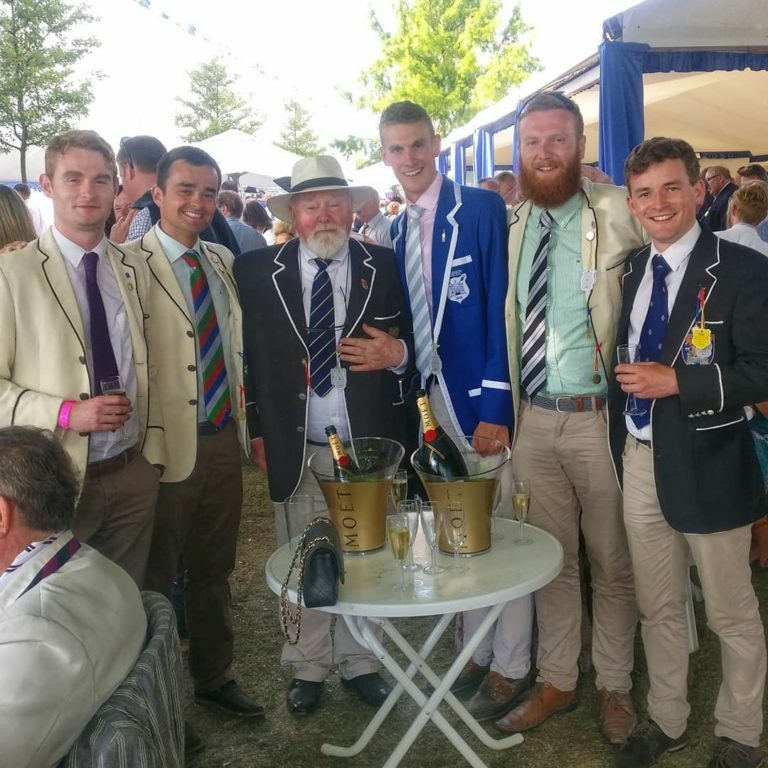 Later in June both the Novice and Senior squads travelled to compete at Marlow regatta and, in the seniors’ case, at Henley. Despite blazing heat and sub-optimal lodgings, everyone was excited about racing. Marlow was an exciting and eye-opening introduction to racing outside of Ireland for the Novices, and neither 8 qualified for a final over the weekend. The senior crew fared better, placing second on the Saturday and winning on the Sunday in two events, the Intermediate and under 23s. The seniors then shifted their focus to Henley, where they had a week to train before the regatta began. Unfortunately their Henley experience was short, losing on the first day to Bates College, from Maine, USA. Next up was National Championships in Iniscarra, the site of the heroics of July 2008. The club was hoping for wins at Novice and Intermediate level, but in the end the only victory was in the Novie 4+ on Saturday, overshadowed by the loss to Queen’s in the 8+ the next day. The Intermediate 8+ came in 3rd in a difficult final, and Ian O’Loinsigh also finished 3rd in the novice single sculler’s event. After a shorter summer than ever before, thanks to Trinity’s new semesterised calendar, the club regrouped in Iniscarra in mid September for a pre-season training camp. Everybody was thrown into a scull, regardless of experience, with coaches Mark Pattison and Gerry Cantan determined to implement the club’s small boat policy from the word go. A seemingly endless winter season of sculling and land training followed, with every race we’d been waiting for cancelled thanks to our country’s reliably anti-rowing climate. A fresh batch of novices have not allowed the winter blues or the occasional mishap to dampen their enthusiasm for this new sport, while the seniors and intermediates, having raced at only one event – the Head of the Shannon, which was itself eventful – are looking forward to testing their mettle in the coming weeks as racing finally gets underway. This racing began today, with the annual showdown between ourselves and our rivals from across the Liffey. The Gannon Cup has traditionally been held later in the season, and the early date this year has meant changes have had to be made to the training regime in order to get athletes into sprinting mode on time. Nevertheless, both Novice and Senior crews were ready and looking forward to the contest. The Novices left the stake boats at half past two, rating lower than their competitors. They maintained composure though, and 500 metres into the race it looked like UCD’s frantic start wasn’t going to pay off. The Trinity men rowed through them to keep the Dan Quinn shield in our hands for the second year running. Another win had come from the same novice squad yesterday, when the “B” eight took on their UCD counterparts above the weir for what has become known as the “Goonan Cup”. An hour later it was the Senior’s turn. The crew, described by coach M. Pattison as “solid”, featured five athletes returning from last year’s colours race: Charlie Landale, Paul Dunphy (in for the sick Lorcain Cameron), Rob Mawn, Peter Croke and Ali Floyd, all eager to bring back the Gannon cup this time around. New faces in the bout were cox Rebecca Crowley and Stroke Fionn McCaffrey, both from last year’s strong novice squad, along with Patrick Jacques of Methody College, Belfast in the seven seat, and Big Steve Lowe sitting in five. The crew put up a good fight, but were beaten by an impressive UCD eight. Congratulations to the DULBC senior team, who took home the Corcoran Cup again this year after an exciting race. For DUBC, focus now shifts to the fast approaching head races: Erne, Galway and London will all see eights from Trinity as we try to build on all the gruelling winter training.